When a person is killed in a vehicle or other personal injury accident caused by the negligence of another person or entity, surviving family members may have grounds for a wrongful death claim. A common type of civil lawsuit, a wrongful death claim allows the victim's survivors to seek compensation for both economic and non-economic damages related to the death. However, the law doesn't permit just anyone who was close to the victim to file a wrongful death claim. In Georgia, eligibility for filing a wrongful death lawsuit is limited to just a few individuals: the victim's surviving spouse, children, parents, or personal representative. The surviving spouse has the first option to file and, if the couple has minor children, the spouse must represent their interests as well. 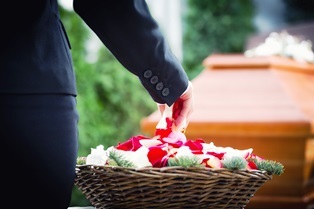 In the absence of a surviving spouse, a wrongful death lawsuit can be filed by the victim's adult children, parents, or the representative of his or her estate. In cases where the wrongful death claim is filed by a personal representative rather than any of the forenamed family members, any compensation recovered must be held by the estate for the victim's next of kin. Potential damages in Georgia wrongful death cases can include reasonable funeral and burial expenses, lost wages and benefits, loss of care and companionship, pain and suffering, and other considerations. Did You Lose a Loved One in a Personal Injury Accident? Losing a loved one is never easy, but finding out the death was because of someone else's negligence can be especially difficult. It's heartbreaking, and definitely not fair. While no amount of money can replace your loved one or fill the hole left in your life, a financial award from the at-fault party can help bring closure and make sure you and your family are taken care of—just like your beloved relative would have wanted. The experienced attorneys with Rechtman & Spevak help numerous wrongful death claimants receive the compensation they need and deserve after their tragic losses. If you have questions about a wrongful death case, we'd love to answer them, and help you understand your legal rights and options. Call our office using any of the convenient numbers on this page, or complete the brief online contact form to request a free initial consultation. Who's liable when a driver hits a pedestrian who was distracted while texting? The dangers associated with distracted driving are better known, but many people don't realize that distracted walking can also have serious consequences. Distracted walking accidents and injuries are on the rise, according to the National Safety Council. 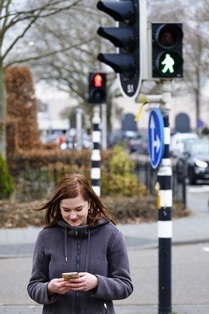 Pedestrians who text, play mobile games, or surf online while walking are most at risk. Pedestrian accidents are also on the rise, as noted by the Governors Highway Safety Association in its 2016 and 2017 reports, and distracted walking—particularly texting while walking—may be at least partially to blame. When pedestrians are struck by vehicles, the injuries they sustain can be absolutely devastating. Even in cases where the driver was traveling at a relatively slow speed, victims may require extensive medical care and time off from work. Pedestrian accident victims may be entitled to compensation from the driver who hit them. However, if the pedestrian was distracted and texting at the time of the accident, he or she may share in liability, which could potentially affect their financial recovery. Fortunately, Georgia is a comparative negligence state. This means personal injury victims may still be entitled to compensation, even if they were partially responsible for their accidents and injuries. Georgia courts use modified comparative negligence rules, which allow for personal injury claimants to collect damages if they were up to 49 percent responsible for the accidents in which they were injured. If you were seriously injured in a pedestrian accident, but are worried that your role in what happened may affect your ability to recover compensation, it's vitally important that you understand your legal rights and options. The knowledgeable pedestrian accident attorneys with Rechtman & Spevak can help you build a strong case and fight for the compensation you deserve. Contact our offices today to schedule an appointment for a free initial case analysis. How do employers choose their panel of workers' compensation doctors? In Georgia, employees injured on the job may be entitled to medical, rehabilitation, and income benefits under the state's Workers' Compensation Law. 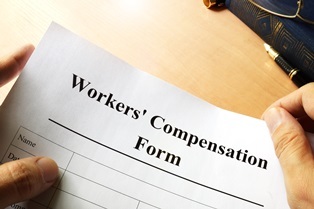 Workers' compensation covers a wide range of authorized medical expenses, including doctor bills and hospital bills. However, unless a worker's injuries are emergent in nature, their employer is unlikely to cover medical care provided by just any doctor. Instead, in most cases, the injured employee is required to choose a physician from the employer's panel of workers' compensation doctors. The doctors on this panel are chosen by the employer, often in consultation with its insurer. Additionally, employers can review the performance of the doctors on their panel and change them if they don't live up to their expectations. The ability to choose and change the doctors on the panel is good for employers and insurers, as it gives them some measure of control over who's treating individuals who are injured on-the-job and, ultimately, how the claim is handled. Fortunately, knowledgeable attorneys with experience handling workers compensation cases can help injured workers choose a doctor from the panel who is more likely to listen to their concerns and treat them fairly. If you are dissatisfied with the treatment being provided by your treating physician, your attorney may be able to get your care transferred to a new doctor. 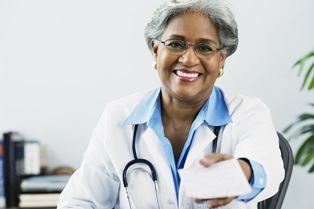 Under Georgia law, you are entitled to a one-time change to another doctor on the employer's panel of physicians without obtaining prior approval. Rechtman & Spevak is committed to helping injured Georgia workers receive the workers' compensation benefits they need and deserve. Contact us today to schedule an appointment for a free initial case consultation with one of our workers' compensation attorneys. 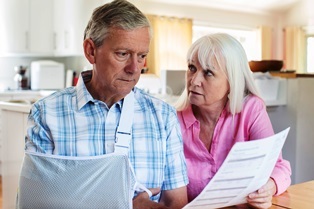 What are the benefits of settling your personal injury claim out of court? People who are seriously injured as a result of another person's negligence often file personal injury claims or lawsuits to seek compensation for medical expenses and other losses. Although some personal injury lawsuits actually make it to trial, the vast majority are settled long before they reach the courtroom. Faster resolution. Settling out of court can help personal injury plaintiffs receive compensation much more quickly than going to trial—it can take months or even years to receive a financial recovery from a trial, especially if a defendant decides to appeal an unfavorable decision. 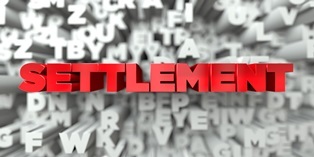 Out-of-court settlements usually take just days or weeks to negotiate. Fewer expenses. Litigating a personal injury case can be expensive. Although most personal injury attorneys work on a contingency fee basis and receive a percentage of the pre-trial settlement or court-ordered financial award, attorney fees aren't the only expenses to consider. Plaintiffs will also likely be responsible for court costs, expert witness payments, and more. Less stress. Bringing a personal injury lawsuit is stressful enough without being subjected to intrusive questioning and cross-examination. Opting to settle out of court can help plaintiffs avoid emotionally taxing courtroom scenarios. Maintain privacy. Trial details are public record, but settling out of court often lets both sides keep personal information private. Compensation plaintiffs can count on. Trials can be unpredictable. Even if all of the evidence is admissible and your witnesses are convincing, there's no guarantee that the jury will side with the plaintiff and award the desired amount of compensation. If you were injured due to someone else's negligence, you may be entitled to compensation. Let a knowledgeable personal injury lawyer examine the facts of your case and help you explore your legal options. Contact Rechtman & Spevak today to schedule an appointment for a free initial case consultation.